After you send a proposal, the first thing that happens is the client receives an email with a link to your proposal online where they can comment and accept the engagement. At the top of the page, they can see a summary of the proposal details. Beneath that is our Secure Payment section. If you have payments enabled, your client will have the option to enter either direct debit or credit card details for you to collect payment. 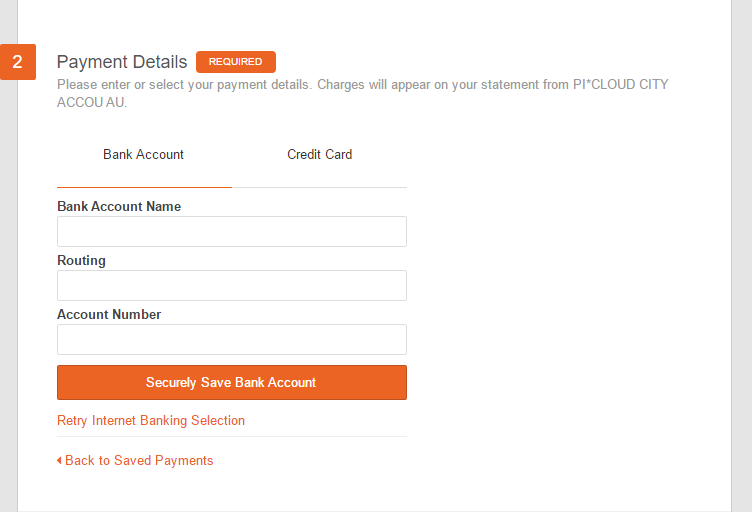 You can also make this a required feature so that they must enter some form of payment details in order to accept the proposal. Learn more about our payments feature. 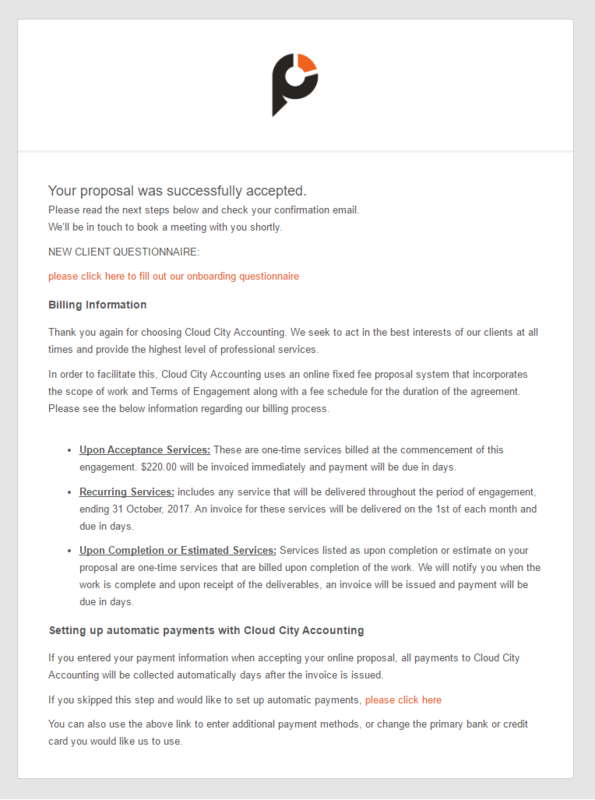 Next is the Acceptance section where they can review and agree to your terms and payment terms, sign electronically, and accept your proposal. 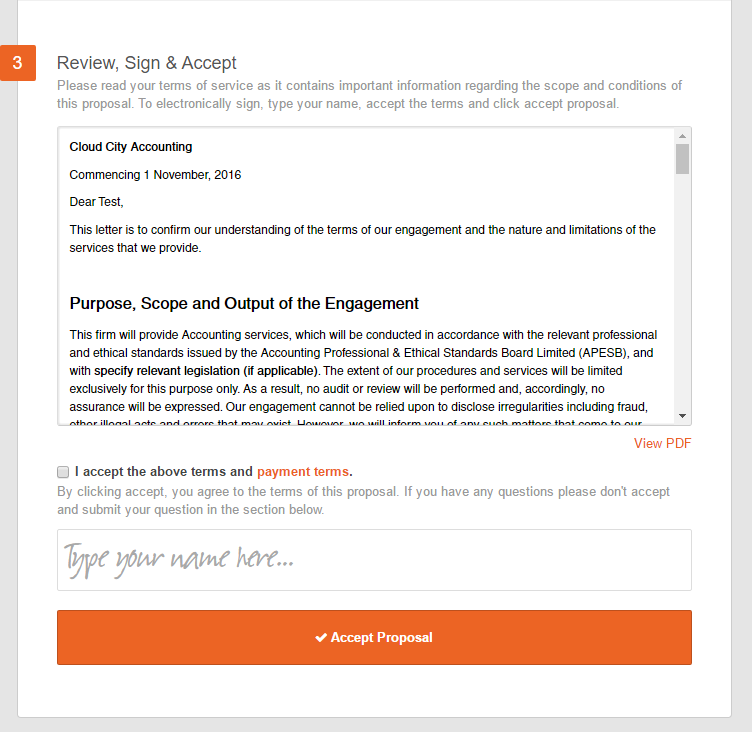 Below the acceptance section, there is a box for your client to leave a comment if they have a question about the proposal. For more information on comments, see our article about it here. Once the client has accepted the proposal, they see a 'Thank you' page which you can customize in your general settings under Library > Templates. 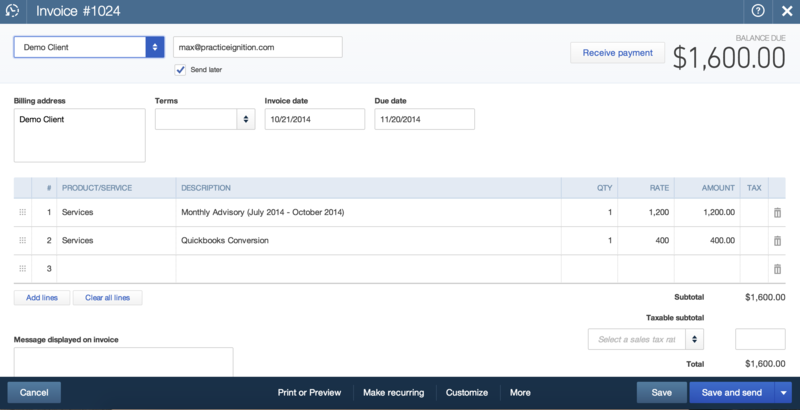 Learn how to customize the proposal acceptance message. 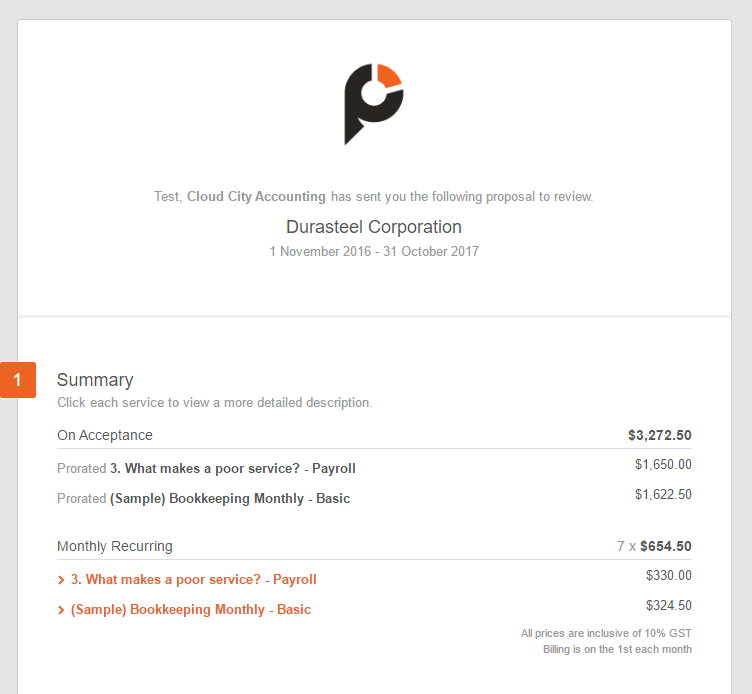 Now in the proposal, you can see the different processes that have been created under the Invoice & Payments and Jobs tab. 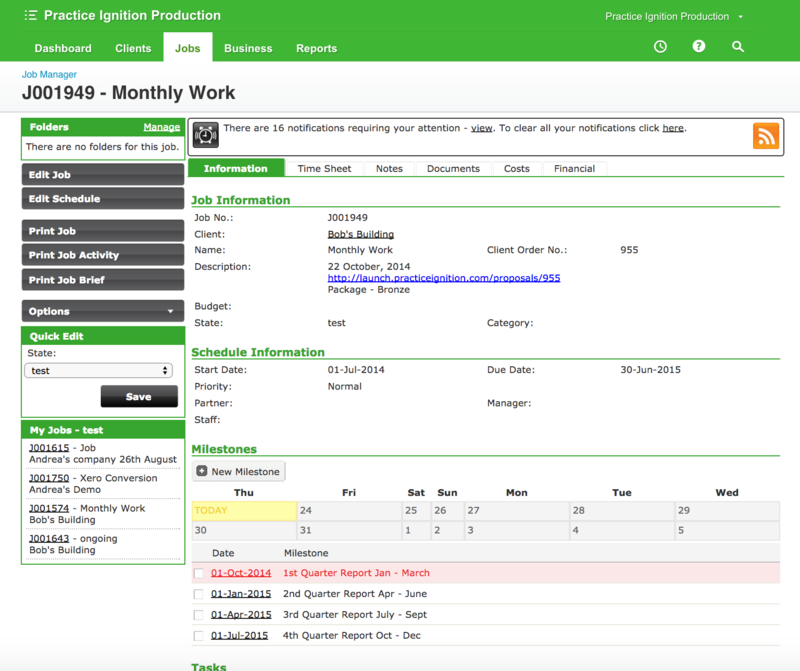 If you have Xero Practice Manager connected, your job has been set up with the relevant tasks, and the client details and proposal number have also been pulled across. 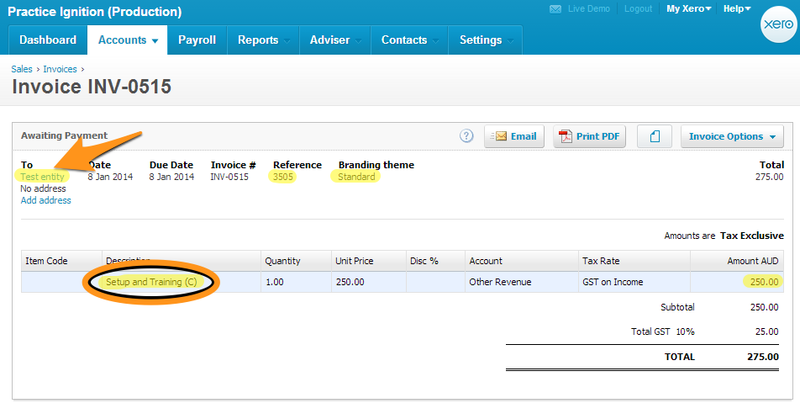 If you have Xero or Quickbooks Online connected, the client will have been set up as an account and an invoice has been created for the relevant tasks. For more tips and tricks on using Practice ignition, see our Tips and Tricks section.